These little surprise balls add to the wonder and excitement of Christmas while also making an ornament for the tree! 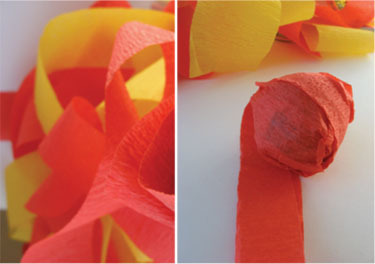 Begin by cutting about a dozen strips of crepe paper 36″ long each. In the beginning fold crepe paper in half and wrap around the first object. 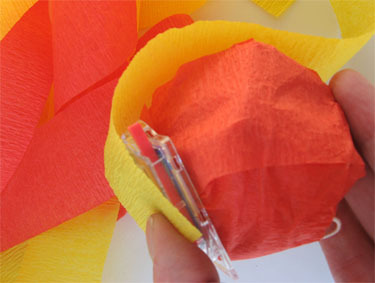 Wrap the crepe paper around a few times and then add in another surprise. As the ball gets bigger it will become unnecessary to fold the crepe paper. When the crepe paper runs out, simply start with another piece. Make sure trinkets are covered before adding another. 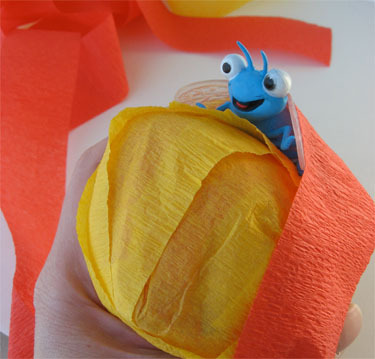 Wrap tightly and sometimes it might be necessary to slightly twist the crepe paper to get it to cover the ball nicely. Continue wrapping and adding treats! Once the ball is the desired size, tape the end to finish off. 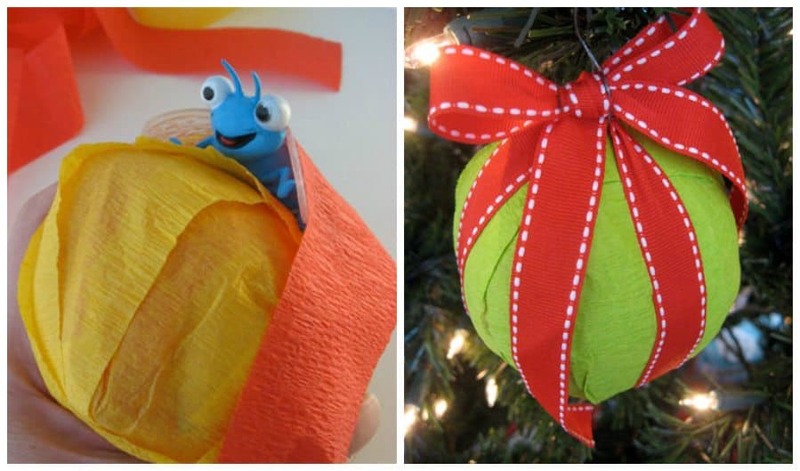 For final layer, cut about 2 yards of crepe paper in color you want the finished ornament. 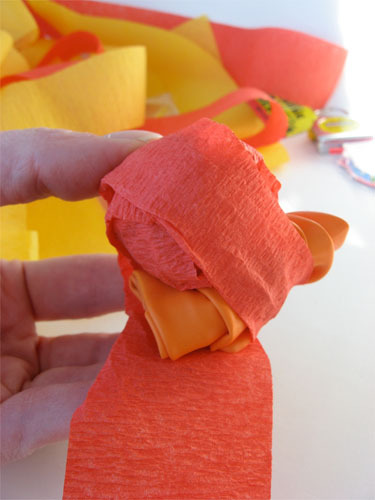 Fold crepe paper in half as it tightly wraps around the ball. 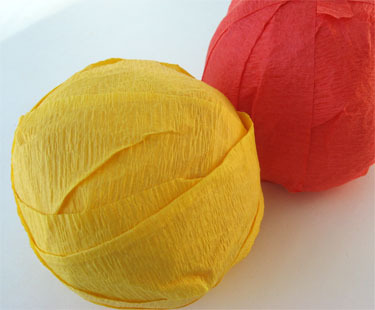 Some surprise balls use a sheet of tissue paper to wrap around the ball for the final layer. 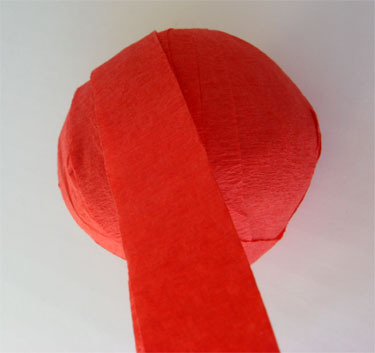 Bring a ribbon up around surprise ball on four sides and tie a bow. 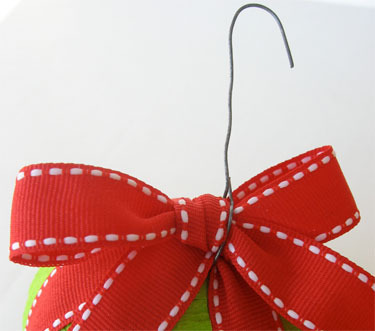 Add a wire hook or piece of ribbon for hanging. Hang on the tree. 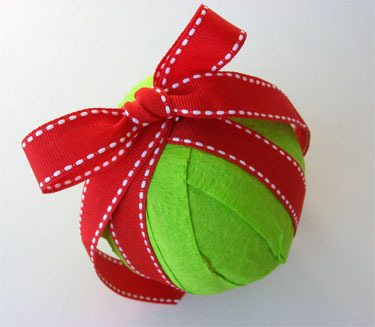 It would be a nice advent activity to allow the children to unwrap a surprise ball before Christmas arrives. These would also make fun gifts for extended family at large family gatherings. How exciting to unwrap a ball and find so many treats hidden inside! Wow, what a great Christmas idea! I’ll have to give this a try while remembering to place it out of reach of tiny hands and/or paws, LOL. What a GREAT idea! These could also make fun gifts for a toddler’s birthday. I’ve linked to you over at my blog. Thanks for sharing! Love this idea! I think it would be fun for advent. Well, that is just the cutest thing ever! What a cool idea! This reminds me of a game we played when we lived in England, Pass the parcel. How fun to make a “decoration” out of it. What a great idea- especially the advent one. You could have just one small tree for advent. I love it! Such a fun idea for the kids! I think I will do a few of these for the days that the kids are out of school and we are waiting for Christmas to come. The treats will keep them entertained (read: out of my hair) and will build even more excitement. Love this. What a great idea!! Thanks for sharing! 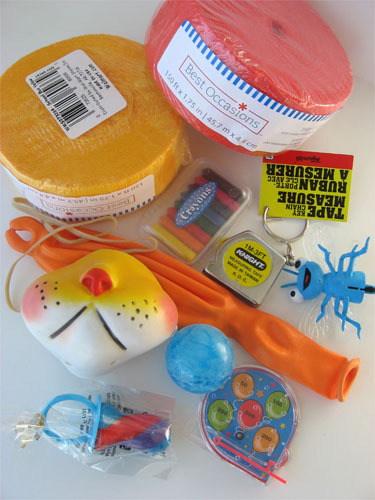 I think I’ll hit the dollar store up for some fun little things to pop inside those! so. totally. awesome. my daughter is going to love these. thanks! What a great idea! I linked to this on my weekly roundup – the post is under my name. Thanks so much! 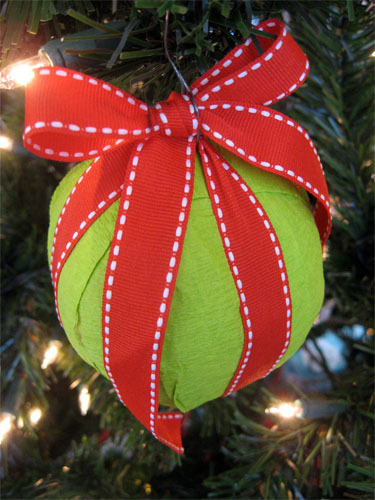 Editor: Here’s NotMartha’s version: http://www.notmartha.org/tomake/surpriseballs/ It’s pretty fab! Found this GREAT idea on the “Teach Preschool” page on Facebook. Glad you shared… I’m going to try this with goodies for adults, also! Super fun. This was pointed out on an all-year Christmas newsletter I’m on. Thank for sharing the idea, they are really cute. These would be so wonderful for birthday party favors! I’m thinking they will be great to use as part of kids advent or stocking stuffers!